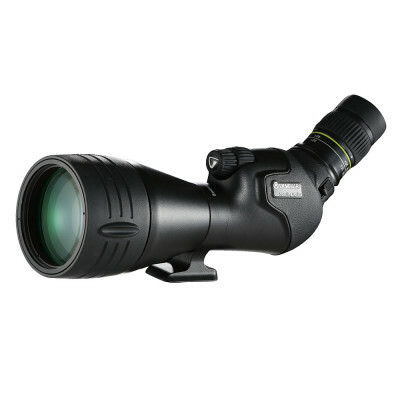 Endeavor HD Spotting Scope is the most advanced piece of optical equipment Vanguard has ever produced. The optical system employs extra-low dispersion glass (ED) to ensure accurate color rendition and virtually eliminate color fringing. 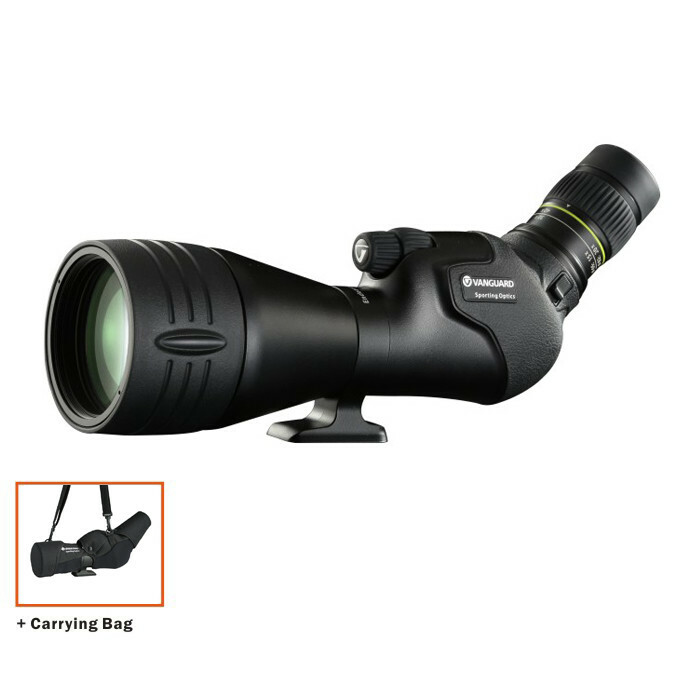 The lenses are all fully multi-coated to ensure optimum light transmission and feature a phase-coated BAK4 roof prism. 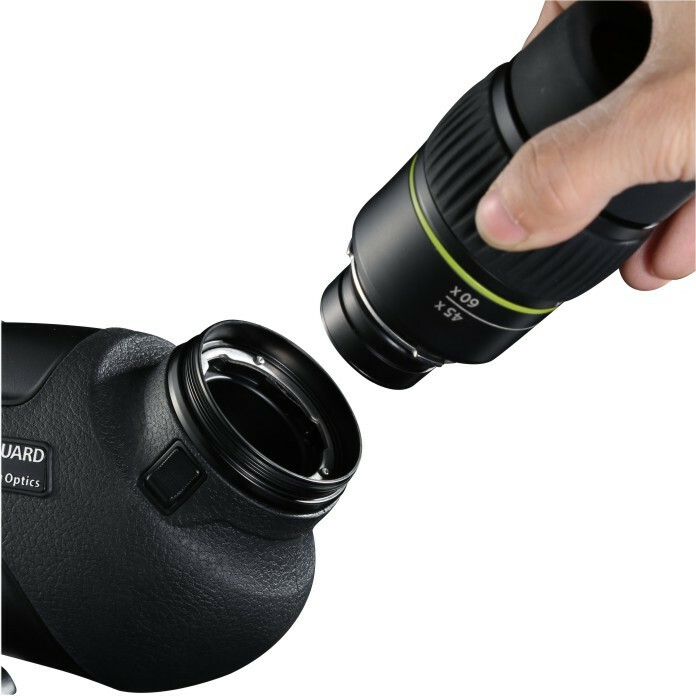 Endeavor 82A comes with an 82mm objective lens and angled eyepiece with 20-60x zoom magnification. 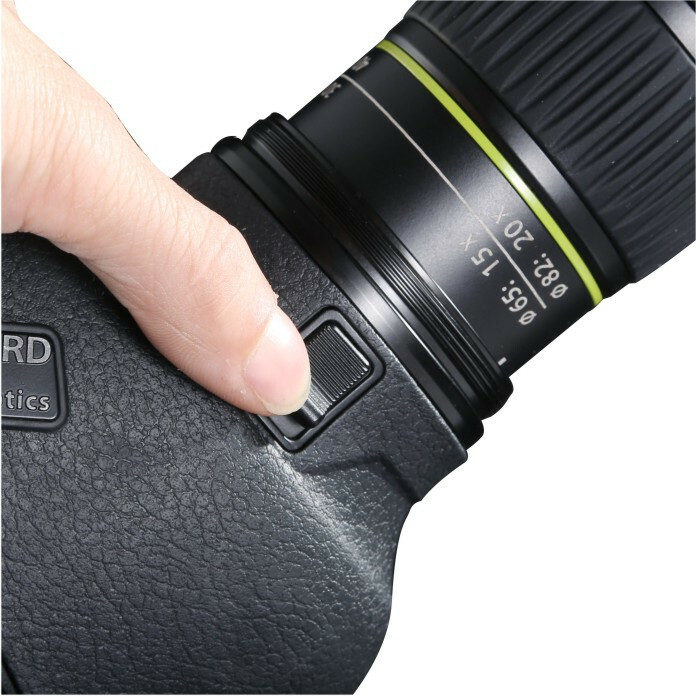 It features an extendable rubber covered eyecup and boasts impressive eye relief even at the highest zoom settings. It also provides a very impressive field of view. A built-in sunshield is included to eliminate glare in direct sunlight and it includes a padded raincoat with sling for carry and protection. Endeavor HD is also equipped with fine and coarse focusing wheels for quick and precision fine tuning adjustments. The Endeavor HD mounts directly to Vanguard tripod heads (and others) that are equipped with the universal mounting plate without the use of a quick shoe. The optical system employs extra-low dispersion glass (ED) to ensure accurate color rendition and virtually eliminate color fringing. Be the first to review “Vanguard ENDEAVOR HD 82A” Click here to cancel reply.